A tragic motorcycle accident leaves a man almost lifeless. A young mother hemorrhages after delivering her premature baby. A three-year-old boy faces the challenges of life with a rare form of anemia. Let each scenario sink in for a moment. In the waiting room, there’s families pacing, with wringing hands and prayerful hearts, hoping for one more day. Simultaneously, many miles away, a man takes an hour on his lunch break to attend a blood drive – selflessly answering their prayers. With very little effort, he’s literally saving a life. January is National Blood Donor Month. To kick off a year of giving, I recently attended a Carter Bloodcare donation drive. Thoughtful about the passion of the volunteers, the motivation of the donors, and the many stories of the recipients, a chill ran down my spine. That day, I opened two gifts – my eyes. The need is constant – greater than I could’ve imagined. On average, one in every seven hospital patients is in need of a life-saving blood transfusion. Blood transfusions are commonly used for patients undergoing organ transplants, bone marrow transplants, heart surgery, burn treatments, or automobile accidents. Cancer patients are one of the most common recipients of blood products. You don’t need a reason to donate but what I found is most people have one: a personal experience, invited by a family member/friend or a motivation to simply help those in need. There are many different ways to donate but Carter Bloodcare has made it easy for North, Central and East Texas residents to participate. Donations made at their donor centers and mobile blood drives affect the lives of people in our communities. With numerous events happening each day, giving blood is easier than ever before. If you’re a first-timer, like myself, here’s what you can expect. Prior to your donation, you’ll be provided information on proper diet, rest, and hydration. With a photo ID in hand and a short registration process, you’ll receive a mini health screening: blood pressure, temperature, pulse checks, etc. Afterwards, you’re well on your way to ten minutes of life-saving whole blood donation – followed by a pretty delicious snack (there’s a documented showdown, Oreo vs. Nutter Butter)! After your donation is collected, samples will be tested and processed to make sure it can be used to give life. It is helpful to know your blood type in order to plan for future donations. The right type at the right time is key to saving lives. Blood types are a genetic trait determined by your parents, like eye and hair color. If you don’t know your blood type off the top of your head, don’t worry, most Americans are in the same boat. However, it’s important information to know. It not only determines who can receive your blood, but it also dictates how much you can help and which donations are ideal for you (see donation types below). For example, as the universal donor, O- is encouraged to give red cell or whole blood donations, while AB+ donors make the most impact with platelets and plasma donations. A Positive – A+ blood is the second most common blood type, one in three people. A+ can give red blood cells to other A+ and AB+ recipients, and can receive red blood cells from any A or O type. A+ donors are encouraged to give whole blood, platelet and plasma donations. A Negative – One in 16 people have A- blood. A- can give red blood cells to other A- as well as A+, AB+ and AB-, but can only receive from A- and O-. A- donors are encouraged to donate red cells and whole blood. B Positive – One in 12 people have B+ blood. B+ donors can give red blood cells to B+ and AB+, and can receive from any B or O blood type. Donors with B+ blood can make the biggest impact with red cell, whole blood and platelet donations. B Negative – B- is found in one of every 61 people. 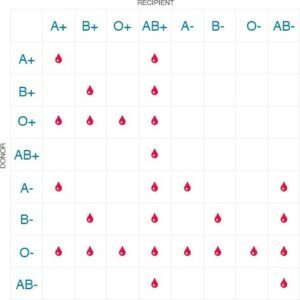 This rare blood type can give red blood cells to types B+, B-, AB+, and AB-, but can only receive from B- and O-. B- donors are encouraged to give red cell, whole blood, and platelet donations.O Positive – O+ is found in one out of every three people. O+ can give red blood cells to all positive blood types, but can only receive from O+ or O-. Donors with O+ blood are encouraged to give red cell and whole blood donations. O Negative – One in 15 people, O- blood type is the universal red blood cell donor and can give to all blood types, but can only receive from other O- donors. O- donors are encouraged to give red cell and whole blood donations. AB Positive – AB+ is found in only one out of every 29 people. AB+ can only give red blood cells to other AB+ recipients, but as the universal recipient, it can receive red cells from all blood types. AB+ donors make the most impact with platelet and plasma donations. AB Negative – The rarest blood type, AB- is only found in one out of every 167 people. AB- can give red blood cells to both AB- and AB+ recipients and can receive red blood cells from all negative blood types. AB- donors are encouraged to give platelet and plasma donations. There’s more than one way to give life. All patients do not require all the elements of whole blood so donations are separated into different components. If you’re not familiar with the types of blood donation, here’s a general overview. Whole Blood donation – This is the most common type where one unit (roughly one pint) of blood is taken from a donor. The donation is called “whole blood” because the blood is taken in its entirety, for separation into its component parts later in the lab. This donation process takes about one hour from the time the donor comes in, to the time the donor is ready to leave. The donation itself takes only 10 to 15 minutes. Whole blood donations can be performed every 56 days. Automated donations – These are done by a process called “apheresis,” which allows the donor to maximize his or her donation for their blood type and give specific components. The apheresis instrument uses sterile tubing, chambers and needles to ensure a safe donor experience. The selected component or components are saved and the remaining blood is returned to the donor. 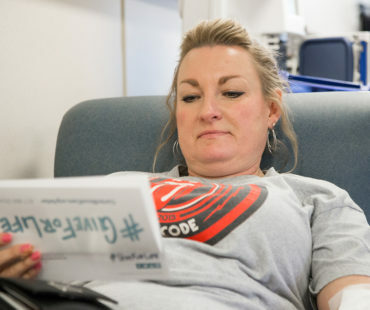 Most automated donations consist of a combination of platelets (which many cancer patients need), red cells and plasma, usually 2 of the 3 components. Apheresis allows a more generous donation of each of these components than whole blood donation would, but does require a longer time commitment from the donor, up to 2 hours of actual donation time. 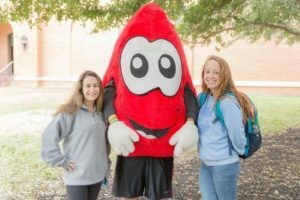 Special donations – These fall into three categories: Autologous donation is a collection of your own blood (usually red blood cells) prior to planned (non-emergency) surgery and it available at the request of your physician. Directed donation is a friend or family member that is approved to donate for a specific patient, if the blood type is compatible. Therapeutic donation is when an individual requires withdrawal of blood for treatment of a medical condition, with a doctor’s prescription. Each new, one-time blood donor is valued and deeply appreciated. On July 7, 2016, our community was hit by a horrible tragedy that took the lives of five dedicated law enforcement officers in Downtown Dallas. It’s a tragic or catastrophic time such as this that the demand for blood increases. It’s often the blood that is already on the shelves, supplied by regular donors, that is used to save lives. These regular donors are responsible for ensuring that there is blood available when necessary. With each donor, multiple lives can be saved. If a donor is willing to give on a regular basis, the impact on the lives of patients is unfathomable. At the end of the day, blood donation is universal. It’s a selfless act that crosses cultural lines and language barriers. The gift of life is one that all of humanity can understand. 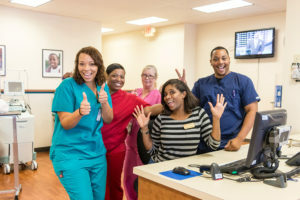 Carter Bloodcare sums it up with their 11 Laws of Life: Life is bigger than you. Love springs life. People inspired by life inspire life in people. Life is full of choices. Life builds community. A life of purpose produces passion. Life begins with action. Hope brings life. A healthier body creates a healthier life. Giving life gives you life. Finally, life begins new every day. 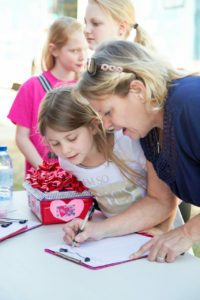 There are a few basic requirements for donations that can be found at carterbloodcare.org. Most health conditions are acceptable for donation but a list of exceptions can be found there as well. If you’re concerned about a certain prescription you’re taking, information is posted for your review prior to donating. For additional questions, comments or information on hosting a blood drive in your area, contact 1-800-DONATE4.